Back Pain Massage Therapy Tampa FL - Bay Area Neuro Clinic. Inc. The massage therapist can pinpoint the areas of pain by scanning the tension and pain of the muscles that has accumulated in the areas of discomfort. Massage therapy can reverse the effects of scar tissue, toxic build up and chronic pain. Massage has the ability to restore normal assimilation of nutrients and oxygen to the muscular system. Massage therapy can influence the central and peripheral nervous system. Studies have shown that it releases endorphins from the brain to the areas of pain. We can say massage is a way to control pain and reduce the need for pharmaceutical drugs. Patients that receive massage on regular basis help the body to function at its optimum level and experience a better quality of life. Studies shown that massage can help realized neck pain, headaches, TMD, facial pain, back pain, sciatic pain, shoulder pain, knee pain, carpal tunnel and muscular tension. Massage therapy has also been proven effective for sport injuries, auto accident, fibromyalgia and other muscular injuries or chronic pain. 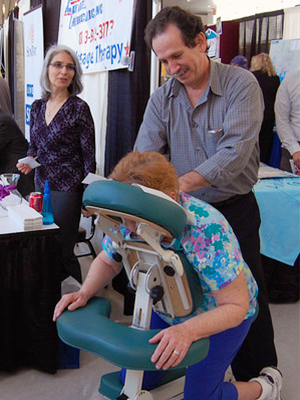 Bringing massage therapy to the workplace has proven to increase productivity and morale by reducing the stress level. 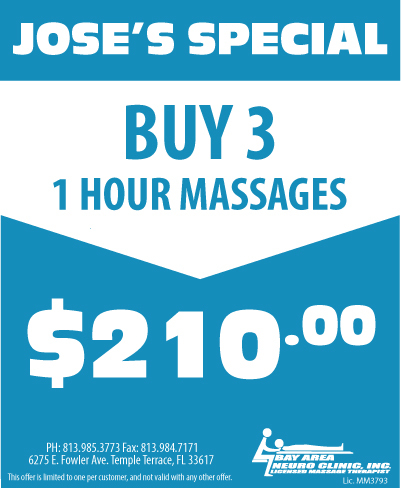 Treat yourself and your staff to a wonderful 15 minutes of total relaxation while having a professional chair massage. This can be done during staff meetings, lunches and breaks. Minimal space is required. In pregnancy the body is going through a number of changes. As the body prepares itself for the newborn, both the muscular and skeletal systems are changing to adapt to the growing fetus. We work with the expectant mothers to relax key muscles such as those in the mid and lower back. The desired result is to accommodate necessary body changes and reduce the accompanying stress and pain, thus providing for a more comfortable pregnancy.